Acronym for Air Force Office Of Scientific Research. The AFOSR invests in research efforts for the Air Force and the work is performed in cooperation with private industry, academia, and other organizations within the Department of Defense. In 1968 the AFOSR commissioned a group of academics from the University of Colorado to clarify the UFO phenomenon. The project, known as the Condon Committee, was granted $313,300 to cover a 15 month period. The complete evaluation process took about 18 months, cost about $500,000 and recommended against the continued study of UFOs. In February 1948, the Air Force Office of Air Research (OAR) was established in the Air Materiel Command at Wright Field, Ohio. In January 1950, the Air Research and Development Command (ARDC) was established and devoted entirely to problems of research and development. In October 1951, the Office of Scientific Research (OSR) was created as a small staff office in ARDC headquarters in Baltimore, Maryland. In July 1956, AFOSR moved from Baltimore Washington, D.C. In 1957 The AFOSR received more funding due to the launch of Sputnik. On April 1 1961, the Air Force Research Division was renamed the Office of Aerospace Research (OAR). In 1968 the AFOSR commissioned a group of academics from the University of Colorado to clarify the UFO phenomenon. 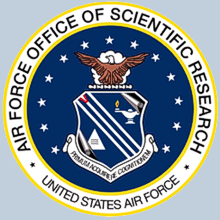 In January 1975, AFOSR was designated as the single manager for basic research within the Air Force. In April 1983, the AFOSR established a new operating location in Tokyo, Japan. In March 1983, AFOSR expanded research efforts in the areas critical to SDI including sensors, lasers, space propulsion, ultra-high speed computing, and advanced space materials. in April 1990, The leadership of AFOSR was changed from military back to civilian. In 1997 the AFOSR became one of ten subcomponents within the new AFRL ( Air Force Research Laboratory ) organization. With the inactivation of the four superlabs in late October 1997, AFOSR became the only AFRL component with a lineal history that predates the creation of its parent organization. In October 1998, AFOSR moved from Bolling AFB to Arlington, Virginia.